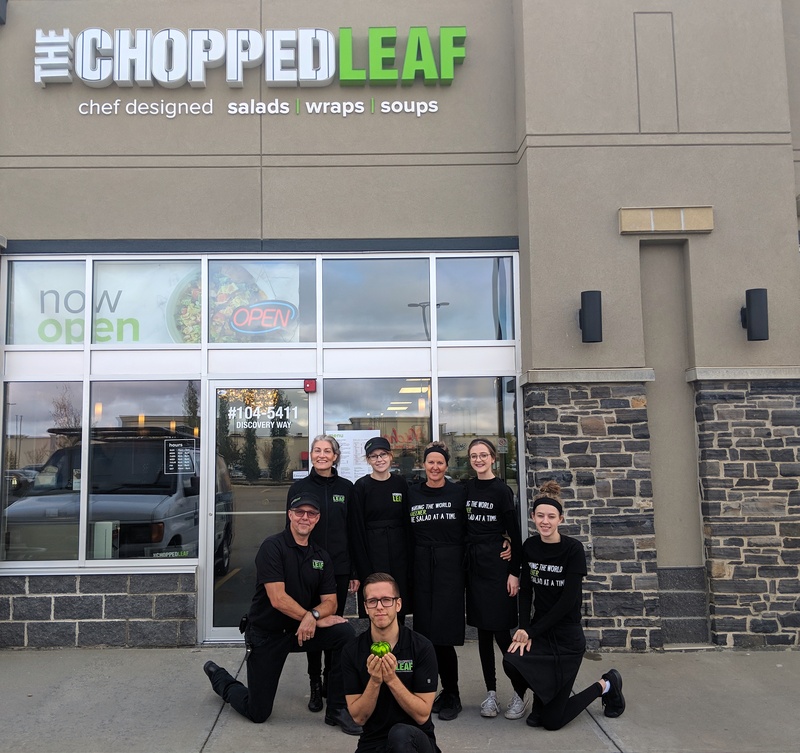 Sept. 27, 2018, LEDUC, AB– Recently ranked the sixth friendliest place in all of Canada, Leduc Alberta is now also home to The Chopped Leaf’s latest location. The entire team is very excited to be joining this warm community to provide healthy options to the people who make the city so special. The Chopped Leaf will be serving up our signature flavours, chef designed salads, soups, and wraps and an array of options for vegetarian, vegan and gluten free diets.